Contaxio tracks your followers and friends on Twitter & other social networks; no other system provides as much detail to help you decide when to follow back. Contaxio sets the standard for data access and export functionality. Manage relevant, real-time relationship data for business or personal accounts. Review stats about people you follow and people that follow you. Review contacts that have posted on your Facebook Pages. Contaxio is an application that allows you to easily and quickly manage your relationships on Twitter. You can also review new contacts from your Facebook pages. Contaxio will evolve to support other social networking sites. I’m confused between the terms friend and follower. The term friend refers to people you are following. The term follower refers to people who are following you. What is a follow / friend number? In order to provide you information on how long ago a person friended or followed you, we track these interactions numerically in order to list them accordingly. The very first person you followed would have a follower number of 1, the second would have a follower number of 2 and so on. The same principle is used for someone who is following your handle. If they were the first person to follow you, then they would have a Follower number of 1. To make things easier, we can list your followers from Earliest to Latest (your very first followers and friends will be listed first, and the most recent listed last) and Latest to Earliest. Please note that if someone unfollows you and then refollows you, his or her follower number will change. The same is true for friend numbers. What is the Last Update for a user? The date of the user’s last tweet, not to be confused with the last profile update or data sync. Why can’t I select all and then unfollow users? Twitter does not allow “mass unfollowing.” The Select All link will select all accounts which you do not currently follow, but you must click each checkbox for any account you wish to unfollow. Once you have chosen to follor or unfollow accounts using the checkboxes, click Follow/Unfollow Selected to complete the actions. What does the ratio in Contaxio represent? And what does it mean to have a high or low one? This is the ratio of Followers to Following for a particular user. A ratio of 1.0 means that the user is following the same number of accounts that follow him or her. A number above one means the user has more followers while a number below one means the user has fewer followers than following. Can I hide users from my lists to accidently prevent unfollowing them? Yes – by clicking the side portrait icon underneath the follower button in the user’s profile section. This is especially useful if more than one person is managing the account. You can also block and report users directly from Contaxio by clicking the buttons adjacent to the hide function. What is the sync function used for? Which option should I choose? The sync function allows us to keep the information about your followers and the people you follow most up-to-date. The full sync updates relationships and bio’s, the quick sync only updates relationships but does not include new friends, and the scheduled sync allows you to choose a day that the system automatically updates profiles and relationships for you. The words Twitter Calls Remaining and a number appear at the bottom of the screen. What does this mean? This status item tracks the number of transactions (follows and unfollows) made on a particular account. Twitter’s Terms of Service limit the number of transactions for an account within a given period of time – our twitter call number represents the number of remaining transactions you can take on an account. It is there to help you keep track of your activity. What does the twitter explorer tool do and how is it useful? The twitter explorer tool allows you to search for users and generate a list of their followers and friends so you can explore and connect with users of similar interests and topics. You can also search for particular keywords to find users with similar interests. What is included in Contaxio Premium? Advanced Export – A more powerful export tool that allows you to export beyond 5,000 records. With Advanced Export, export Twitter Lists, Followers/Following, and Former Followers/Following. 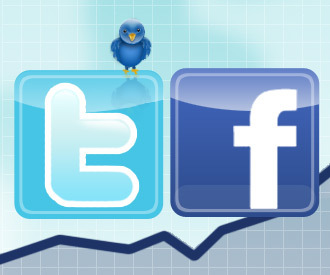 Unlimited Account Links – You are able to link an unlimited number of Twitter accounts to a single master account. This is an important feature for individuals who manage multiple Twitter accounts. Premium Support – Although we don’t currently offer a Service Level Agreement (SLA) for support, premium members receive special consideration for all support requests and service questions. How am I billed for Contaxio Premium? Contaxio Premium is billed through PayPal as a recurring payment. All of your purchase records are maintained in PayPal. If you need to submit a record of payment for reimbursement, PayPal allows you to print out each transaction. How do I cancel my Contaxio Premium Subscription? Simply signon to PayPal, navigate to My Profile, My Money, My Preapproved Payments. Locate the Whitley Media subscription and click the Cancel button. If you are dissatisifed with any part of the Contaxio service, please contact us first so that we can attempt to remedy the situation.